Wine and health has not been getting the kind of media attention that it did more than 20 years ago. This first wave of media attention propelled the first Chinese and Hong Kong wine boom that was short-lived: Sadly the 1997 financial crisis dampened any hopes of norther Asia becoming a serious wine market in the 1990s. Every year I spend at least a month (often two months or more) in France. My diet is high in fat and carbohydrates – lots of bread, cream, butter and fat. The Atkins diet, which was all the rage in the United States about thirty years ago has cooled down but various versions still linger – all of which espouse the no-carb or low-carb diet. French meals might be better known as the anti-Atkins diet. Despite the high fat content in their diet, very few people in France are as big as their American counterparts and suffer fewer coronary diseases. Part of Asia’s sudden interest in wine in the early 1990s was due to ‘the French paradox’, a program that aired on CBS in the United States in November 1991. The premise of this 60-minute documentary was that wine was a major factor in the French having lower risk of cardiovascular disease despite the high fat content in their meals. The documentary spawned a flood of research that tried to either dispel or support the thesis. Almost 30 years later, abundant research has surfaced countering this theory to claim that it isn’t just wine per se that benefits health but any type of alcohol in moderation. There is also evidence that it isn’t merely wine that contributes to this paradox but equally important are other factors such as lifestyle and type of fat consumed. However, the strongest evidence is still in the red wine camp. 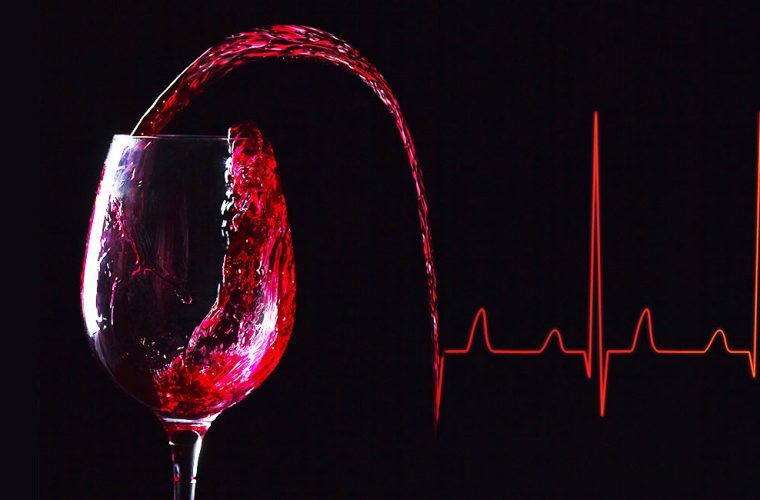 Numerous studies and scientific research conducted in countries as far afield as Japan, China, Australia, United States, Great Britain and France show that red wine in moderation is linked to overall cardiovascular and metabolic well-being. A few glasses of red wine a day can decrease your chances of heart disease and it may even make you a happier person! More recently, specific antioxidants in red wine such as resveratrol and procyanidins have been identified and even packaged as convenient pills by pharmaceutical companies as antioxidants for maintaining good health and one’s youth. While the quantity required for maximum benefit is still being researched and the benefits appear to have wide individual variations, there are plenty of non-health reasons to enjoy wine: It simply tastes good and enhances the dining experience. Along with scientific research, lifestyle and diet books have started to look at wine in a new light. Several years after the French Paradox program aired, a new way of looking at our relationship with wine was published: French Women Don’t Get Fat: The Secret of Eating For Pleasure, a best-selling book by Mireille Guiliano, the former CEO of Veuve Clicquot. The premise of the book is that French women have a healthier relationship with food (they love it instead of obsessing or being guilt-ridden about it), they enjoy wine and have a healthier, more active lifestyle. An important idea behind the book is that portion control is more important than whether the food is fat-laden, rich or high in calories. Enjoying and taking pleasure in wine (in moderation) is one of the “secrets” revealed by Guiliano. Part of taking pleasure in food and wine means slowing down and relishing the moment. When I am in France, I spend at least twice as long during my evening meals than I would back in Hong Kong. Partly it is because service is slow when you dine out but even when the meals are prepared at home, the fresh, seasonal ingredients from the market are so delicious that I find myself savouring them, enjoying each mouthful. When food is delicious, it is mentally, emotionally and physically satisfying — like the wonderful tomatoes from the Sunday market, the sweet, juicy rock melons and the crunchy, tasty green beans. When you add wine to the combination, it becomes a special occasion, a moment to savour. Of course wine in this context is obligatory – resveratrol and procyanidins are my daily vitamins.